Product prices and availability are accurate as of 2019-04-20 08:25:22 EDT and are subject to change. Any price and availability information displayed on http://www.amazon.com/ at the time of purchase will apply to the purchase of this product. 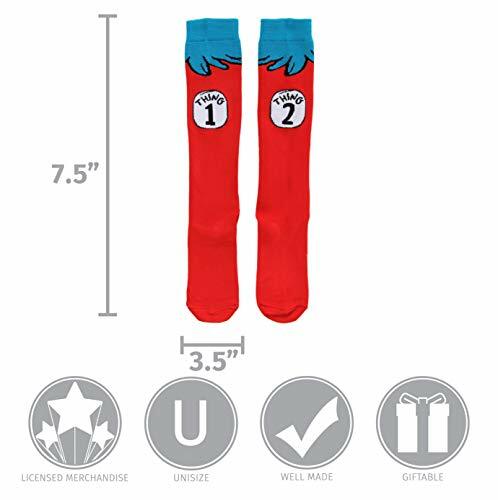 Find mischief at your next costume event with these Thing 1&2 Costume Socks by elope. 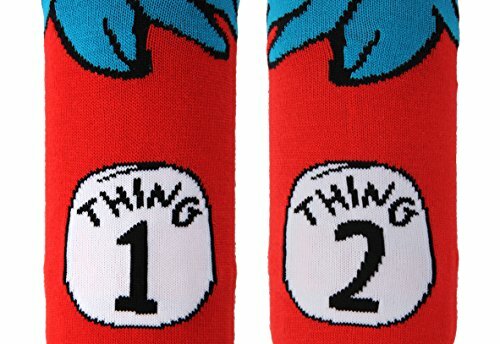 Inspired by the fuzzy Things themselves these socks feature a soft knit in bright red, details of the Thing 1 & 2 Patches, and blue tops reminiscent of the Thing's wild hair. 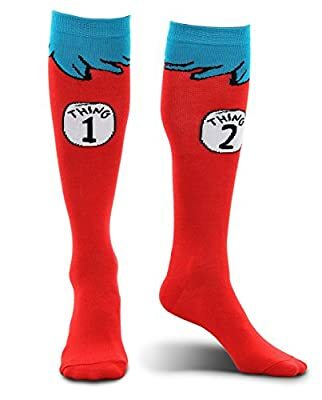 • Be any 'Thing' you want to be, 1, 2, or even 3 in these Dr. Seuss Thing 1 & 2 Adult Costume Socks by elope! • These bright red socks are labeled Thing 1 and Thing 2 and are topped off with bright blue mock hair lines. 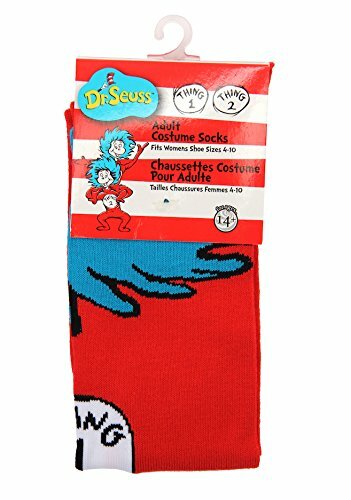 • Great for gifts, costuming, crazy sock day, and whimsy all year round. • Safety tested for ages 14 and up; fits adult shoe sizes 7-11. • Designed with love and laughter by the elope team in Colorado Springs USA. Made in China.